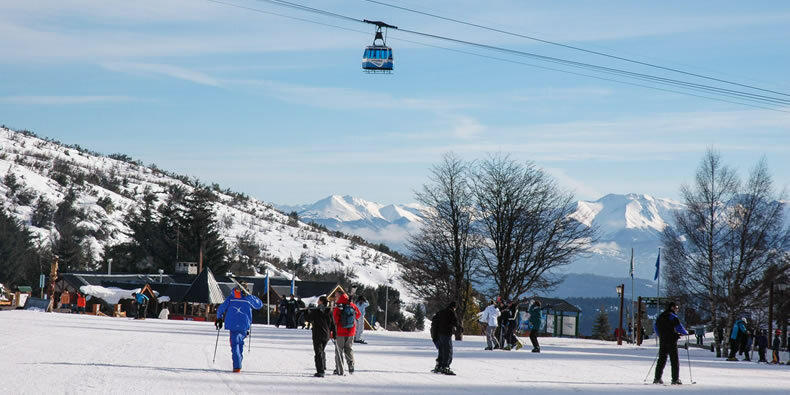 Speaking about San Carlos de Bariloche means speaking about Cerro Catedral, which stands for “Mount Cathedral” in Spanish due to the resemblance of its summits to the towers of a medieval temple. Its majesty is well-known by skiers from all round the world. The unification of its sectors offers 600 hectares of skiable surface divided into 53 well sign-posted trails of various difficulties, which reach 2.000 meters over sea level. With options for all ski disciplines, including off-piste, are available, those who practice freestyle and snowboarding will also enjoy an area specially designed with bumps and rails to show off their abilities. Catedral has been the stage for the most important international competitions and snow festivals for years. The downhill torch parade, a night show that is gaining more and more fans, stands out. Lift updating programs are constant and specially thought to improve the resort’s total lift capacity and quality. Catedral also has a cutting-edge snow-making system which creates real flakes that cover a skiable surface of about 10 hectares. Visitors just need to come along. 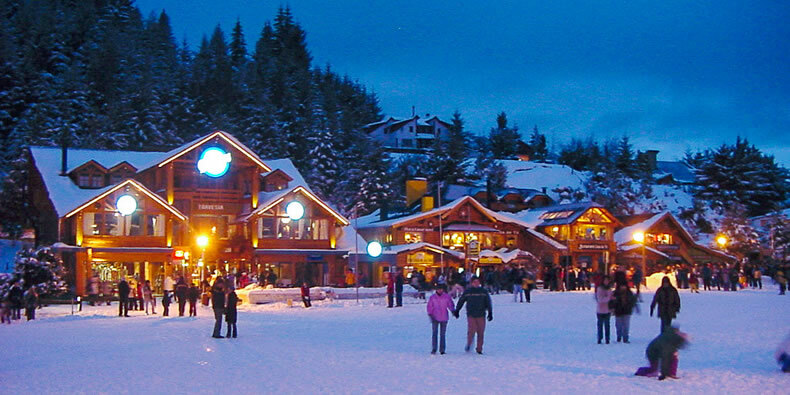 In mythical San Carlos de Bariloche, Cerro Catedral has everything to please skiers and their families. Snow is guaranteed. 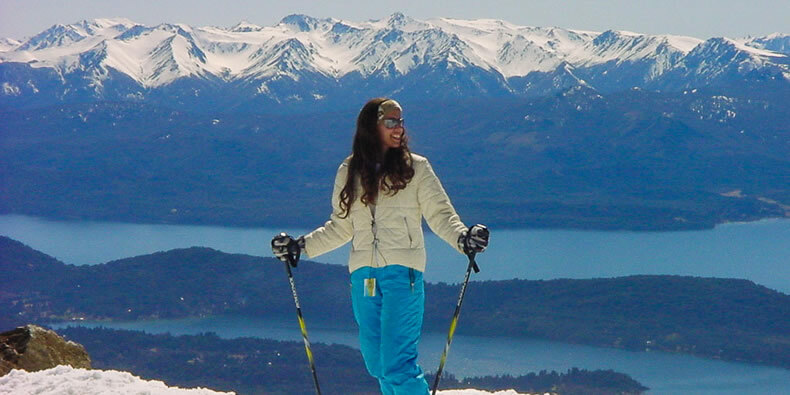 How to Get There: From Bariloche, along Bustillo Av. to kilometer No. 8 (Catedral intersection). Then, turn left into the paved road till you reach the ski resort access, with its free parking space for 960 vehicles. There is also a regular bus service every 30 minutes. You can also go up by taxi or on a tourist excursion transfer vehicle. Season: From June 18 to October 10, divided into high, low and mid season. Timetable: From 9am to 5pm. Activities: Alpine, Nordic, randonée and off-piste skiing, snowboarding, sleds, paragliding, hiking, mountaineering, mountain biking. Services: Refuges, first-class restaurants, lockers, garment and souvenir stores, photo development, medical service at the base, public phones and access to the Internet at the base and at the 1,600 station, ski rental, large parking space, information center, kids nursery, ski school, shopping mall, discos, transfers to the mountain, press room, quad vehicles and snow cats.